Lucky for us, real music’s future is in the talented hands of Matty Rogers. Real and raw, his music is something you feel as much as hear. On a Monday night in Byron Bay, Matty is playing his sixth gig in as many days. It’s hard to believe his energy remains so high, as he tears through his original tunes like it’s his last gig on earth. This is soul rock blues at it’s finest and is born for a bigger stage, as the packed room testify with their cheers of respect. It’s Matty’s willingness to give, and then give more, that his fans really connect with. 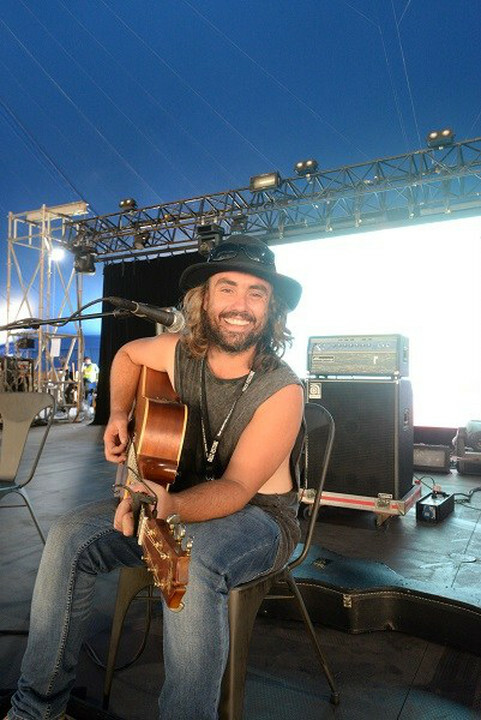 It’s his fans that willed him onto stages at both Falls Festival and Byron Bay Bluesfest this past year. All humility aside, this guy can drop a guitar solo with the best. With his latest offering to fans, an EP named “Walk to the Water”, Rogers shows us his soul, and draws us into his stories of life’s struggles and joys. The EP was recorded by Stuart Stuart (Sheppard), and with the help of local, national and international radio airplay, Matty Rogers is being heard more than ever before. It’s clear that Matty is at the beginning of a very long music career.